What Are Some Unexpected Benefits of Autonomous Cars? 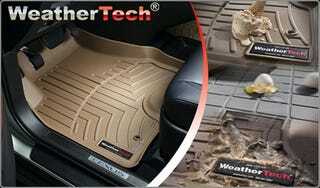 Im going to say that Weathertech will become offered from the factory as often as Brembo and Recaro. With our hands and attention being free then our car floors will be exactly like the carpet around the living room sofa. Also, autonomous cars give us the ability to have rotisserie ovens, microwaves, in floor coolers, panini presses... We’ll ask for cars that are more isolated and corner completely flat so that we can play Janga or Catan without any worry of a pothole throwing pieces into the panoramic roof. Hey, once you no longer need to watch the road won’t that glass roof option become a 100% take rate? Is in-car tanning a thing yet?